Integrate your employee contacts from your Small Builders to your Xero account. This will save you time and effort to create another contact in Xero with the same details in Small Builders. This is also required prior to integrating employee's timesheet. 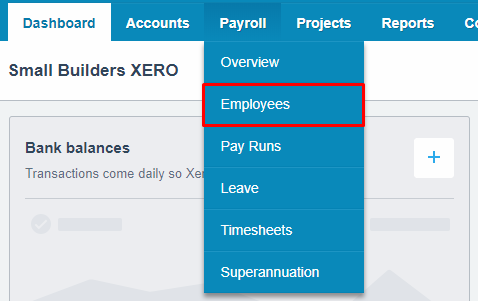 Type in 'XERO - Employees' on the search bar located on the upper right corner of your portal. 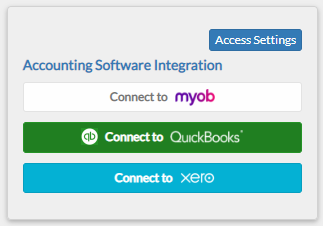 From your navigation bar, go to Management > Integration > XERO > Contacts > Employees. A. EMPLOYEE NAME IS REQUIRED. This includes both first name and last name. If not complied with, record will be highlighted in RED and a warning message will appear on hover. 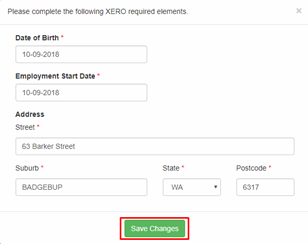 A ‘First Name is required prior to XERO Integration.’ warning will appear if the employee’s first name is blank. On the other hand, a ‘Last Name is required prior to XERO Integration.’ warning will appear if the employee’s last name is blank. B. DATE OF BIRTH AND EMPLOYMENT START DATE ARE REQUIRED. If not complied with, record will be highlighted in YELLOW and a warning message will appear on hover. A ‘Employment Start Date is required.’ warning will appear if the employee’s start date is blank. 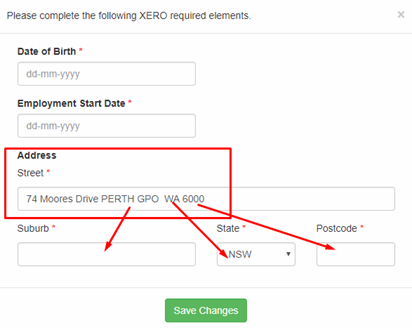 On the other hand, a ‘Date of Birth is required.’ warning will appear if the employee’s birth date is blank. C. ADDRESS SHOULD BE VALID. By default the address saved on your contacts is displayed on the Street field only when you click Update on the record in your integration page. You must distribute the values to make the address valid. D. UPDATE YOUR EMPLOYEE’S DETAILS. From your integration page, click Update on the record. A popup window will be displayed. Fill out all the fields then click Save Changes. Your record will no longer be highlighted and there will no warning message that will display when you hover. Your employee will now be available for integration. 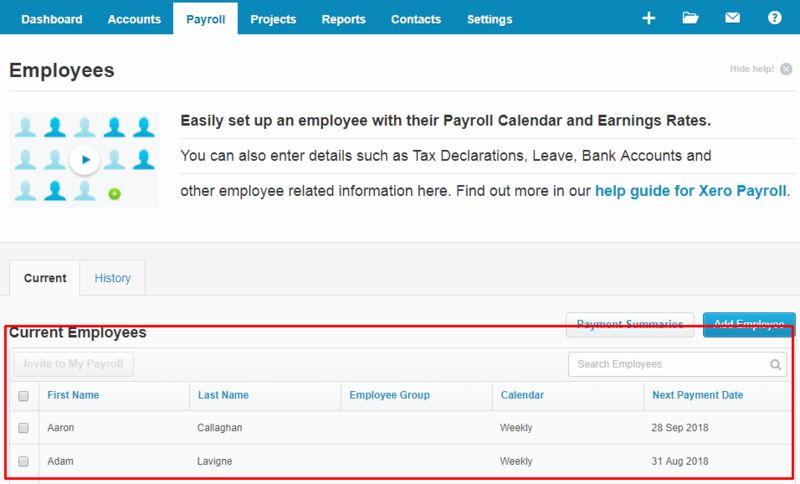 If there is no option displayed, you haven't setup your pay calendar on your XERO account yet. Click here for instructions. It is required that you settle this first on your XERO account prior to integrating timesheets. Note: Reconciled Employees are your employees from Small Builders that have been successfully integrated to your XERO account. 6. Check if the person was saved in Xero. Go to Payroll > Employees.